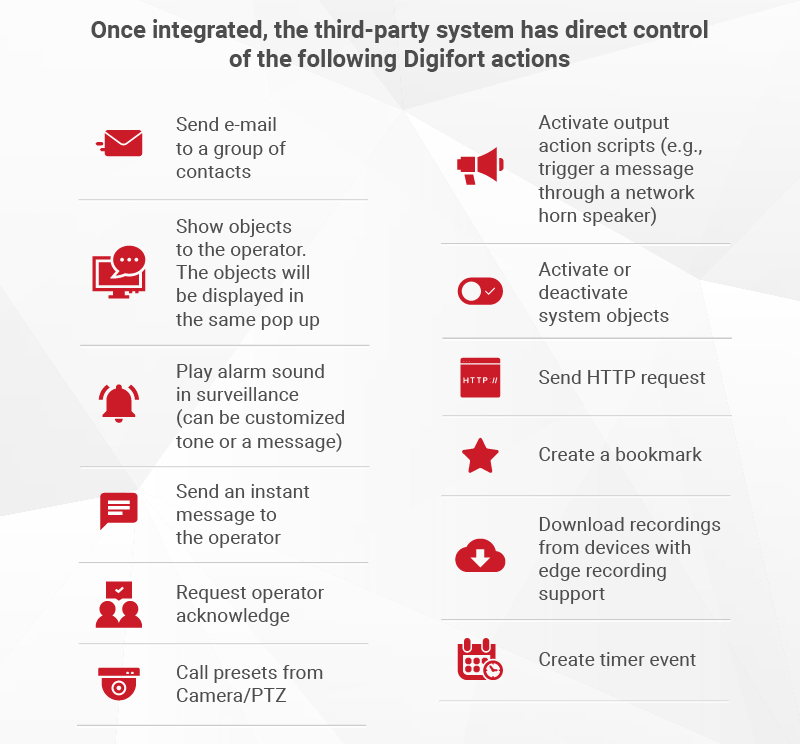 Digifort's technology goes above and beyond what their competitors can offer. Extremely cost-effective and we guarantee much less server usage than any other comparable VMS in the world. It is more critical today for businesses and communities to stay safe. So much of this heavily depends on smart video monitoring solutions. And in the security software field, there's just one name to remember: Digifort. An incredibly innovative company who offers next-generation video surveillance systems to keep things monitored continuously providing safety. Today's growing demand for smarter solutions requires leadership and critical infrastructure to provide just that. From Digifort perspective, it is similar. 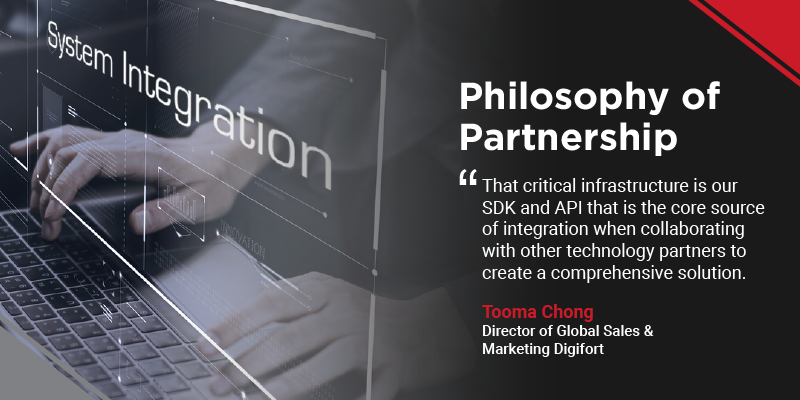 That critical infrastructure is our SDK and API that is the core source of integration when collaborating with other technology partners to create a comprehensive solution. This philosophy is the foundation of Digifort's integrated solutions, delivering cutting-edge technology. Not all SDKs are the same. Smart SDK/API is the key to easy, fast and reliable integration. You need fast HTTP/HTTPS responses; the return speeds are incredibly important. Many companies are developing cutting-edge technologies in a very specialized market, in the name of "Security." Security comes in many different forms. Through integrations, we can merge the two technologies and deliver a much more powerful solution that will not be possible to achieve working individually. More actions are provided, depending on the level of integration. If you need further information, please contact our global team that is close to you.